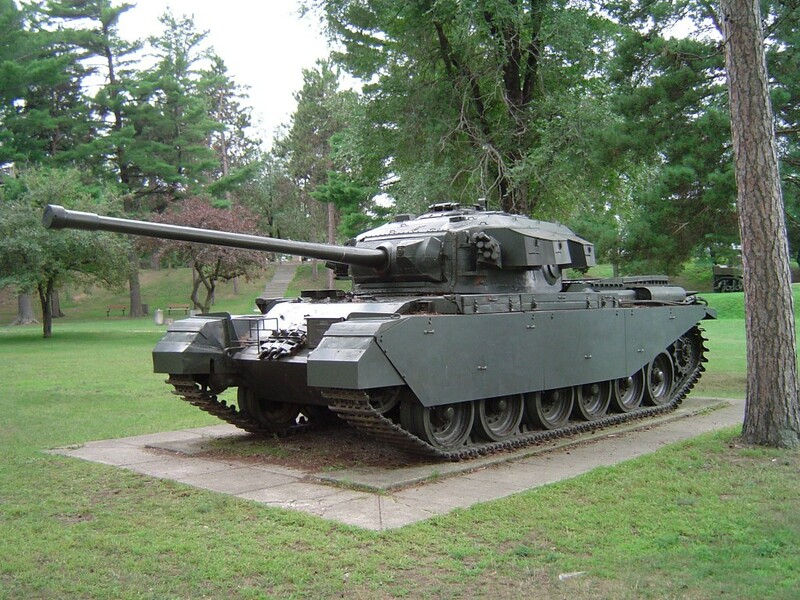 Canada’s Main Battle Tank (MBT) for most of the Cold War was the venerable Centurion. This British tank debuted in the final days of the Second World War, and its excellent performance in the Korean War convinced many countries to equip their armies with Centurions in the 1950s, and Canada bought more than three hundred. The Centurion was heavily armoured and eventually upgunned to the formidable 105 mm L7 gun, but it was slow and unreliable, problems which worsened with age. The Canadian army had identified the need to replace the tank by the early 1960s, but a combination of defence policy changes and a shrinking budget stifled any replacement. Canada’s Centurions in Europe soldiered on into the mid-1970s until there were only two dozen operational tanks left which were maintenance nightmares. Memorably, one Centurion broke down on the way to the start line of a training exercise, and remained out of service for the entire duration of the exercise. This Centurion Mark V is at Base Borden Military Museum. 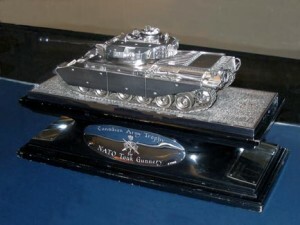 The Trudeau government was adamant that the Centurion would be replaced by a lighter, air-transportable vehicle, such as the British Scorpion, but pressure by European allies over the summer of 1975 convinced Trudeau to relent and allow the army to keep MBTs in Europe. The government announced this decision in November 1975, and although the army had kept abreast of the latest developments in MBTs, it would have to work quickly because the Centurions in Europe would not last much longer than 1976. The project management team for the tank acquisition set to work examining the options. West Germany, the United States, and Britain were working on new tanks (which became the Leopard 2, the M1 Abrams, and the Challenger 1, respectively), but these would not be fielded until at least 1979, and it would be the mid-1980s before Canada could get tanks to equip its forces. 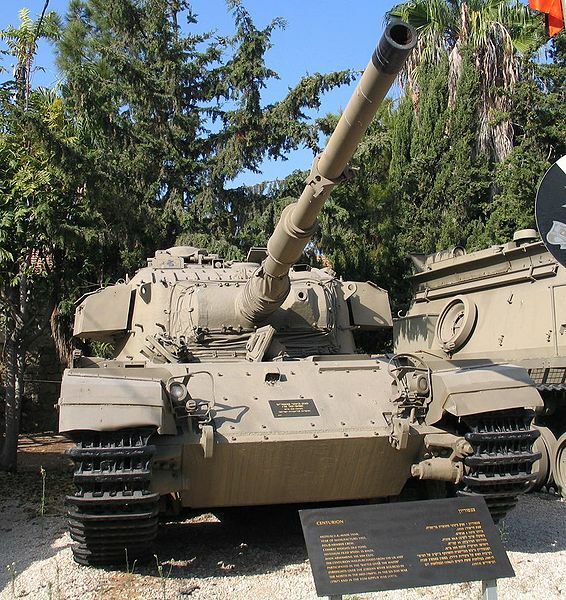 The army considered a Centurion modernization along Israel lines – the “Patturion” – but this was a risky project. Of the tanks in service – the American M60, the German Leopard, the British Chieftain, the French AMX 30 – the Leopard was the most attractive because it was in service with six NATO countries, and it was still relatively new, having only come into service in 1965. However, the production lines in Bavaria at Krauss-Maffei, manufacturer of the Leopard, were full, and the company could not deliver tanks to Canada until 1979. The Israelis replaced the Centurion’s engine and transmission with more reliable American models. The German ministry of defence suggested that they could loan some Leopards until Krauss-Maffei finished its order for Australia. The Canadians jumped at this offer, and in October 1976, signed a contract with Krauss-Maffei and the German ministry of defence to loan thirty-five Bundeswehr Leopards to the Canadians until the order of 128 new tanks was ready. The Germans scrounged for tanks, even taking some from a tank range at Castlemartin in the United Kingdom, and started delivering the rentals. These started arriving, complete with the German Balkenkreuz, in December 1976, and had all arrived by April. The Canadian armoured regiment in Germany, the Royal Canadian Dragoons, was faced with the enormous task of learning how to operate a new tank, with manuals written in a different language, in the space of a few months. Technical Services in Ottawa said that it would take two years to translate the German manuals, so the Dragoons sent some officers and soldiers to the German armoured school in Münster in October 1976. One officer was a Sudeten German who had immigrated to Canada in 1956 at the age of eleven, and he was instrumental in creating training materials. These officers and soldiers became familiar with the Leopard, and developed manuals for the RCDs by literally cutting and pasting illustrations from the German manuals, and translating German technical terms into “Canadianese.” They developed seven adaptation courses for the RCDS – two on driving and maintenance, two on gunnery, two on communications, and one for crew commanders – and ran them in January 1977. The training was rushed, but the RCDs were operational with the Leopards when the Centurions were finally retired in an official ceremony on 2 June 1977. The Leopard had the same gun as the Centurion – the excellent L7 105 mm gun – which was the standard for most NATO armies from the early 1960s to the early 1980s. The Centurion had thicker armour, but the Leopard had a decided edge in speed, mobility, and reliability. At the base in Lahr, a tank driver received a ticket from the military police for speeding in a thirty kilometre zone. He was likely going fifty five to sixty kilometres per hour in his Leopard, nearly double the Centurion’s top speed. That ticket was affixed to the wall of the Canadian base. The Germans had also designed the Leopard with ease of use and maintenance in mind because they had a conscript army and could not afford to spend weeks or months training their recruits how to maintain their vehicles. A good crew could change an entire engine on a Leopard in fourteen minutes, while an engine change on the Centurion could take up to forty-eight hours. Even changing the spark plugs on a Centurion had been an onerous task. The Centurion had an aircraft engine, the Rolls-Royce Meteor, which was a development of the legendary Merlin that had been in the Spitfire and P-51 Mustang. The spark plugs were on the bottom of the engine to facilitate easy access for aircraft mechanics, but once in the tank, mechanics had to take the entire engine out just to replace them. This process could take from thirteen hours to one and a half days. There were no such delays with the Leopards. The highlight of the rental period was winning the Canadian Army Trophy in 1977. The trophy was originally sponsored by Canada in 1963 to improve tank gunnery in the armies in Central Europe, and Canada had won in the Centennial year of 1967. Canada withdrew from the competition from 1971 to 1975, and in 1977, the Canadians were not sure if they would compete, given that they had just fielded rental tanks. But at the insistence of the Colonel of the Regiment, Merritt “Bomber” Bateman, a Second World War veteran, the Canadians submitted a team drawn from the Dragoons. Each country supplied twelve tanks with crews to go on a simulated battle run. A troop of three tanks would advance, and fire at fifteen moving and static targets with the main gun at ranges up to two kilometres, and six groups of ten machine gun targets. Each tank had ten rounds of main gun ammunition and 100 rounds of machine gun ammunition, and the troop would be judged based on its speed of completion and use of ammunition. The Canadians were clear underdogs, but won, and Ramsey Withers, then Commander of Canadian Forces Europe, presented the Dragoons and their commander, Clive Milner, with a case of champagne. The rental Leopards, now with black maple leafs painted over the German crosses, performed well, and tided the army over until it could get its own Leopards. 3 troop. My troop did well in the try-outs for the CAT team, only missing selection by one target. I was Troop leaders gunner on CAT 77 (Lt.Pacey 4 Trp “B”Sqn) Spare Troop Competion The Dutch beat us by half a main gun target, (300pts) as I recall, Still my best day in the Army!!! Don, good to hear from you after almost 40(!) years. A great day as you say, our troop achieving second highest score in the competition. You were equal to the best gunner, hitting every main gun and every coax MG target. All the best, Mike Pacey.